We at counterevolution are thrilled to be working with Dan Harrison and the staff at Harrison Construction in Marietta, Ohio on the restoration of an historical estate in Parkersburg, West Virginia. 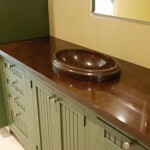 These two vanity tops were recently installed in the Caretaker’s home on the property. 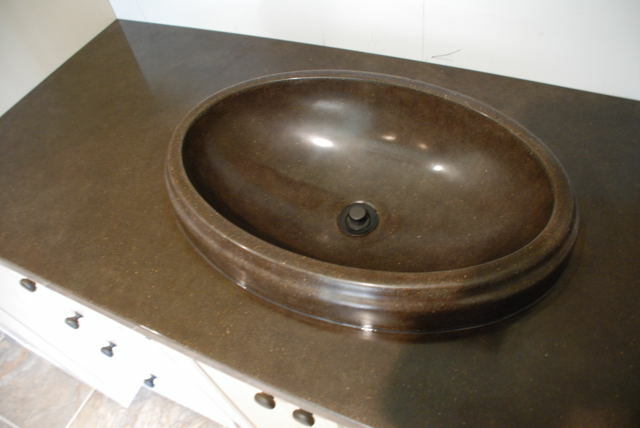 They both feature a semi-flush mount oval vessel sink with an acid stained finish. 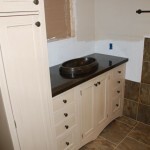 The tops are permanently sealed for stain-proof performance and extremely low maintenance. 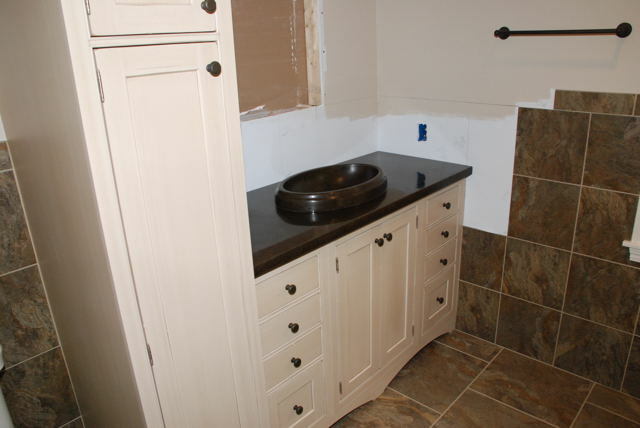 Kitchen countertops are in the works for the Caretaker’s house as well as the historic farmhouse on the property. 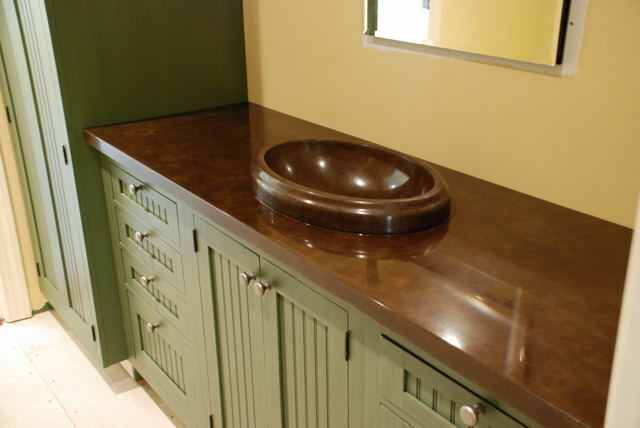 Harrison Construction is a full service contractor dedicated to sustainable materials and practices. 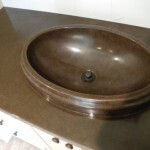 Their building products showroom called The Material Difference was recently outfitted with solar panels on the roof that provide 80% of Harrison’s electrical requirements for the showroom, offices, and shop space.